Combining rock maple and brass, this watering can is far superior to the throwaway plastic variety. Combining rock maple and brass, Stephen Roy recently designed a watering can that’s far superior to the throwaway plastic variety. 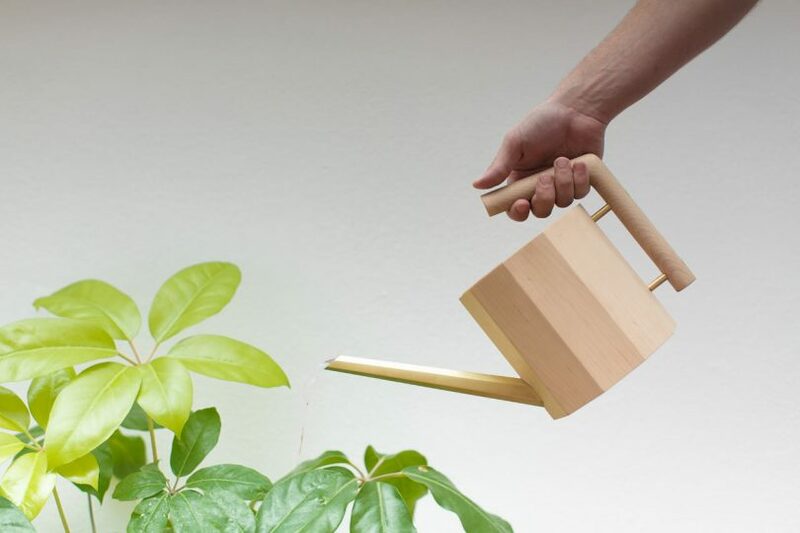 The COOPER Watering Can is more of a statement piece with the added functionality of keeping your plants hydrated. Its elegant coopered form is made from rock maple that’s lined with beeswax and its spout, made by Studiokyss, is made of brass rounding out its polished appearance.